November is a great time for reflection. Pull together videos made from your students in the gallery and playlist feature of WeVideo. 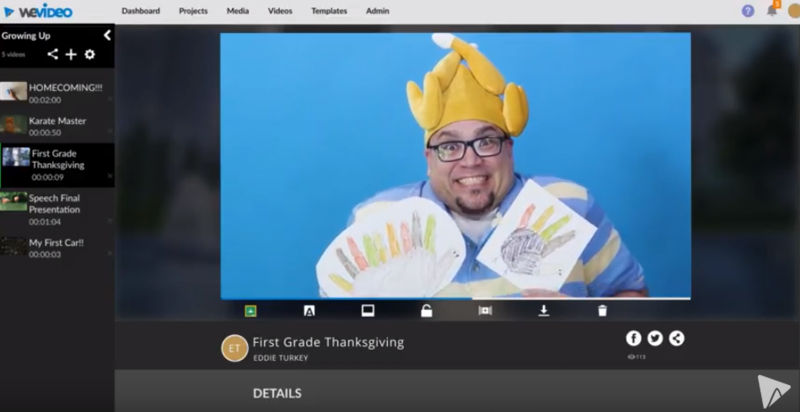 Share it with students, staff, or parents, like how this turkey son shared his videos with his turkey mom. And of course, WeVideo has you covered with privacy features, so only the people you want to see it, can see it. Showcase your students' work for the end of the year by creating galleries and playlists within WeVideo. How do you act when you think no one is watching? 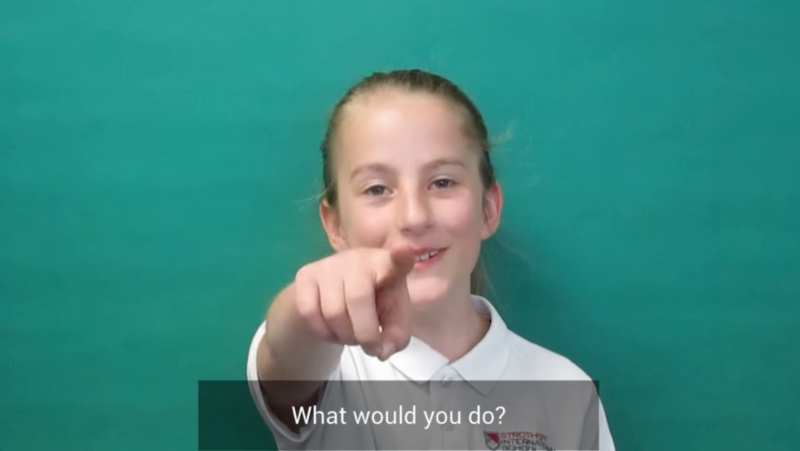 Matthew Baganz’s students wanted to know and devised a social experiment involving a hidden camera and student actors. Find out what they discover. 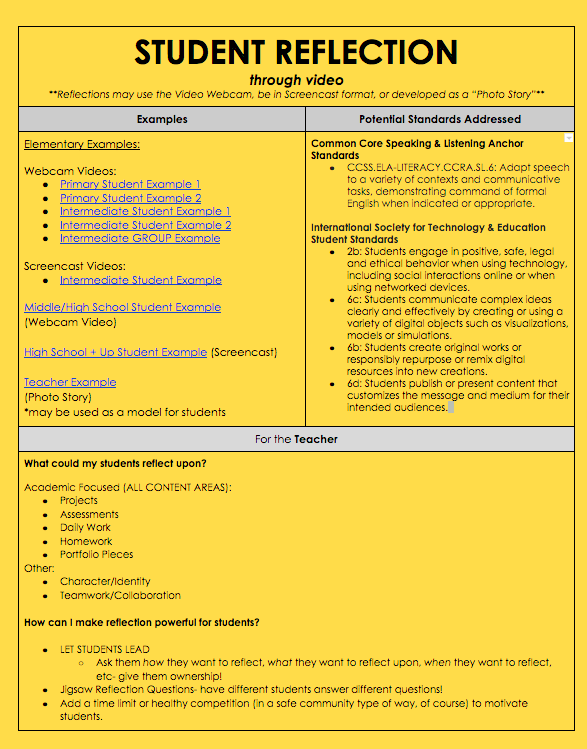 Check out this info-packed hyperdoc by award-winning instructional tech coach, Jennifer Eggert, on best practices for integrating student reflections throughout the learning process. 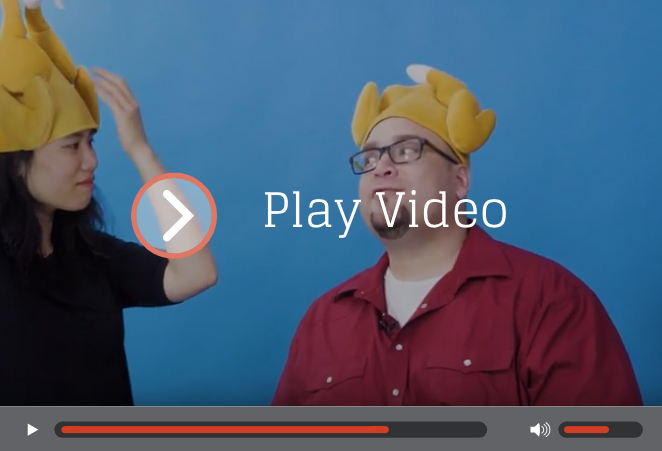 Search for “thanksgiving” in the WeVideo Essentials stock library to add festive content to your videos, and top it off with a Thanksgiving motion title! WeVideo is great for student voice, but if you want to provide more tools for reflection, take a look at these cool tools! 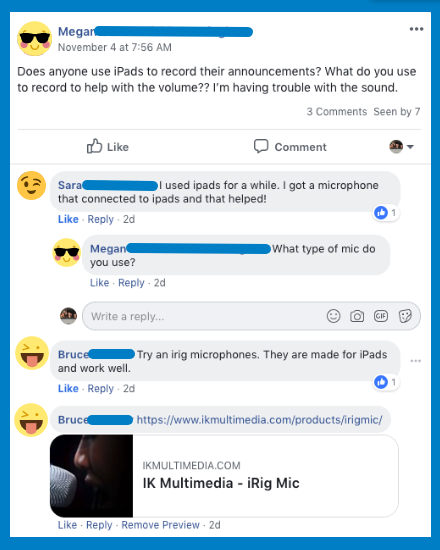 Join our WeVideo Educators Facebook group to share and connect with other creative and innovative educators!